Y'all wanna hear how my weekend went? I vacummed the carpets, mop the floor, bleached the toilet, cleaned up the wastebins and the shower cabin then cooked a diner then sipped gin for a good night sleep. And on Sunday I watched italian soccer plus NBA basketball and went to buy some sh1t we don't really need. Why I am so beta? Wow look like a really good week mate keep up the good work and who knows you will earn a lot more money mate , keep going and continue too post your good work, i think you have spent a lot of times playing and learning now you are earning the benefits, cheers good luck continue to do so and i wish once day i will get a good week like yours , or even win just once in my lifetime and say i did win at least once lol, cheers mate ! image moneywise. Even if you stay at this pace is great but i wish you even better. Congratulations for your great result in the past week. But i am sure that we wii say that very often since your poker is at a level that a lot of peoples including me will never achieve. I dont know if you have set any goal but if yes i am sure that you will dot it. Congratulations!! Why are you disappointed with the 4th and 6th place? Was that a bad beat or something like it? Because it`s still a nice result. Congratulations for the results that you present, but you dont put all the results, because we maybe want to know how much you put and how much tournaments you lose between this "wins" in this tournaments. Now for you, is keep up the work, and control the bankroll, because one "win", is good but not a thing to jump up another levels. All winnings are tax free here. You certainly don't NEED to mention anything about it on your tax return... Unless you've spent a lot more money than your company has earned due to winnings, then you can put it on as an explanation as to how. The UK has a great tax system for gamblers now.It use to be either pay 9% on your stake or 9% on your winnings but now the gambling establishment deals with it. 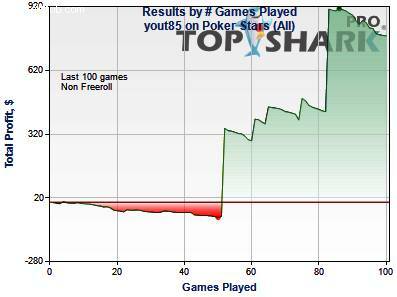 Some good results yout.......Do you not play on party poker now?I don't think they don't have many good tourneys but they have pokerfest with plenty of cheap satellites. 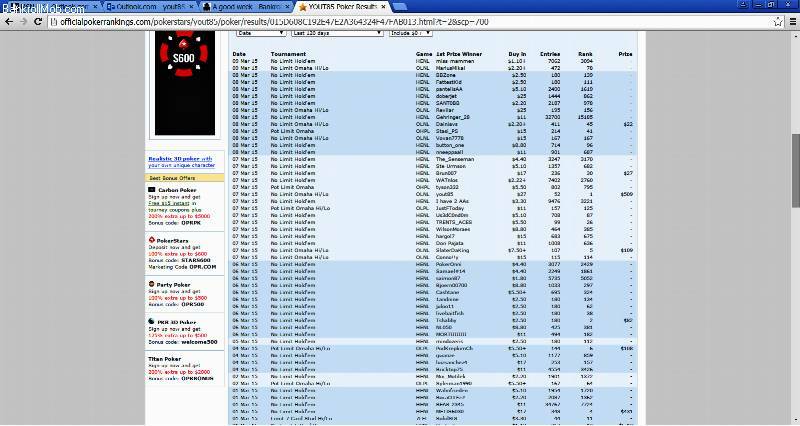 Really nice results and winnings, well done, grats to you. How much did you win alltogether in these tourneys and did you left out other attempts / tourneys without making the money (which I assume) ? going on. So i will take your suggestion and look you up in the site you mentioned.